Happy Monday everyone! I hope you had a great weekend. 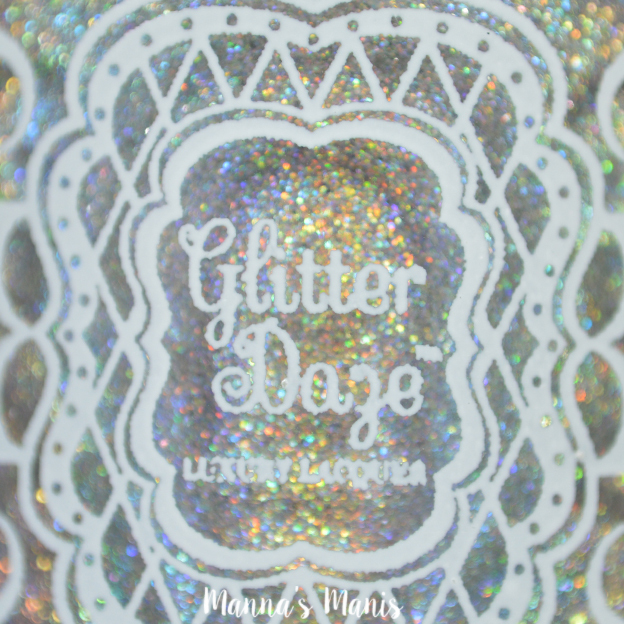 I'll be sharing the September DOTM from GlitterDaze with you. Spoiler alert: It's gorgeous! 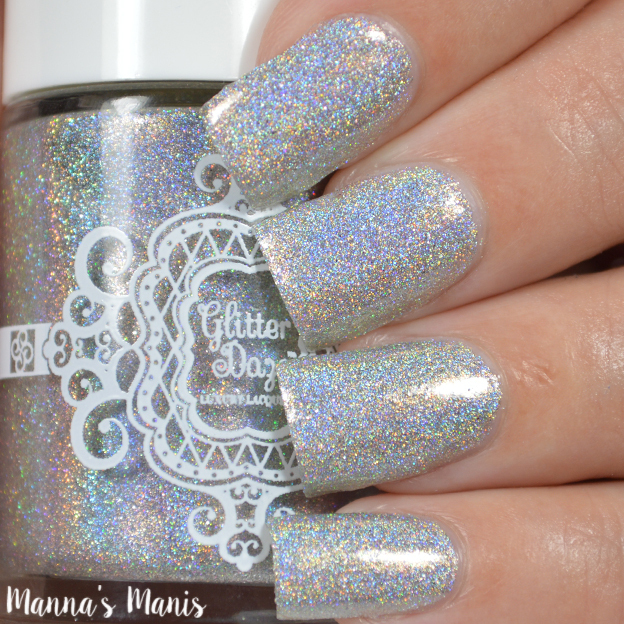 You Octopi my Thoughts is a perfect full coverage silver holographic shade packed with strong linear holo and scattered holo micro shimmer. This months shade is dedicated to a new species of octopus that scientists recently discovered! Perfect formula, easy and smooth application. Nearly opaque in one coat! Shown below is 2 coats with a glossy top coat. 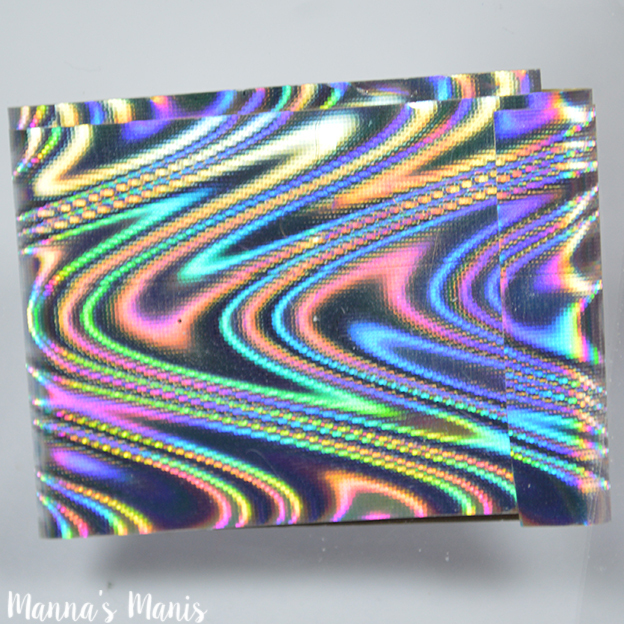 This months free gift is some beautiful holo nail foil! No, I didn't use it. 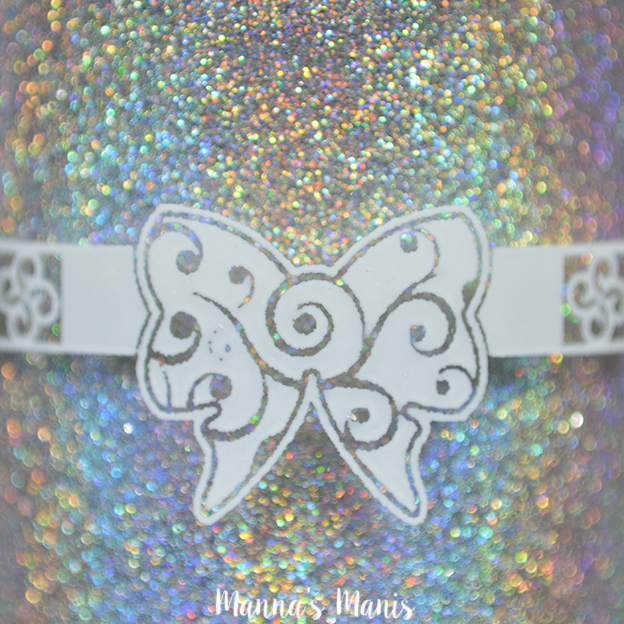 I don't have the supplies to attempt to try, and the last time I did use holo foils, it was terrible. If you'd like to attempt it, there are lots of tutorials on YouTube. 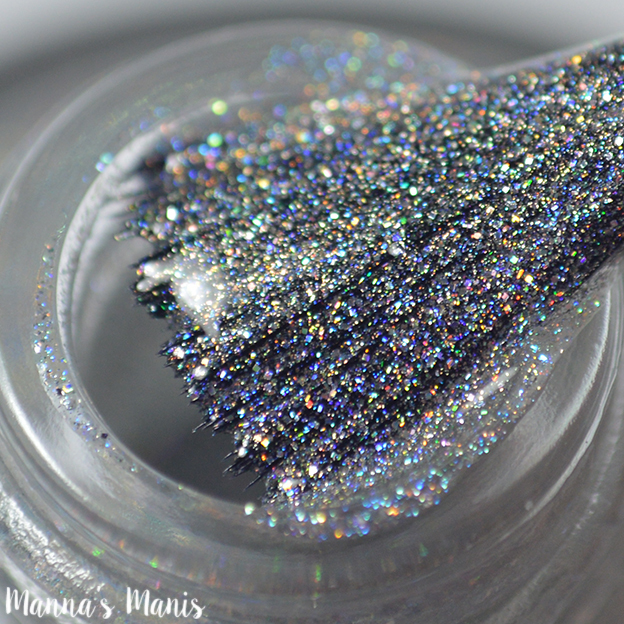 This polish is only available until the end of September!